Tonight I was having dinner at the Contemporary Resort with some friends in town for the week. During a break in conversation I took a look at my phone and I had some notifications from Instagram (@davidscointravels in case you want to follow along). Another reader (@followustodisney) had mentioned me in a post about a possible new penny machine. I took a look and sure enough I didn’t recognize the machine and the designs looks unfamiliar. After getting some additional details about the location of the machine I checked the Disney park app on my phone to see when Magic Kingdom closed. Thankfully it was open until 11pm so I had plenty of time to enjoy the rest of our dinner before I bolted over to the park. Needless to say by the time I got into the park a little around 9:00pm there was quite the crowd trying to leave the park. 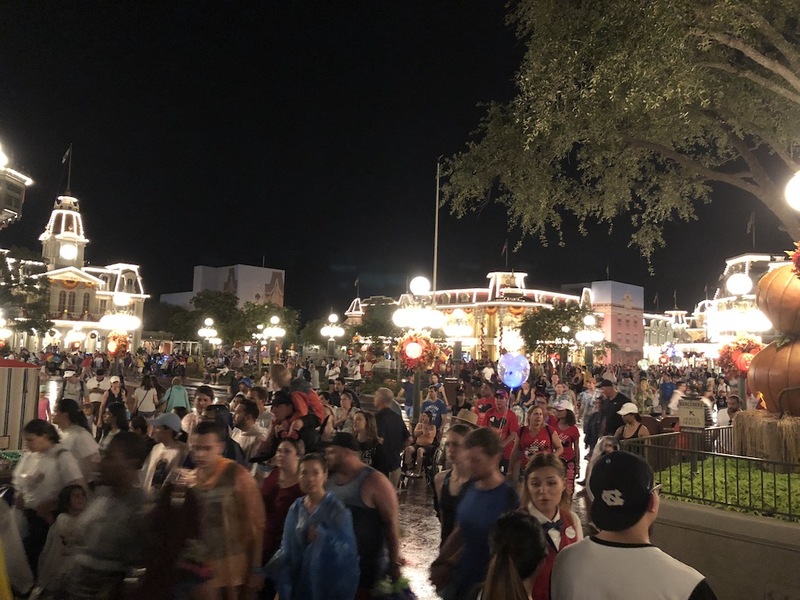 It was raining a little bit, but the Happily Ever After fireworks show had finished just a short time before so this was most of the guests cue to leave. Can you believe they have Halloween decorations up already? Technically they have started having the Mickey’s Not so Scary Halloween parties back in August which seems nuts but people love getting dressed up so Disney knows how to cash in on that. 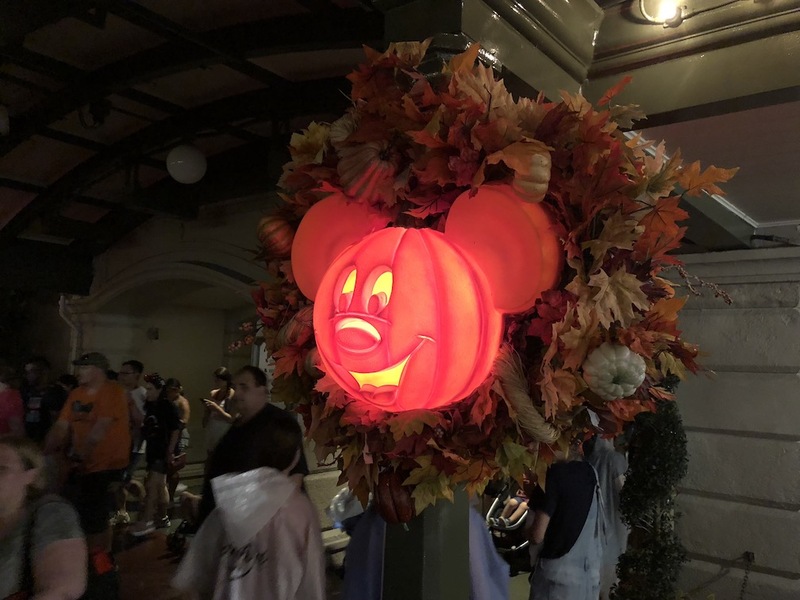 I love these Mickey Jack-o-latern lights and wish they sold them in the gift shops. 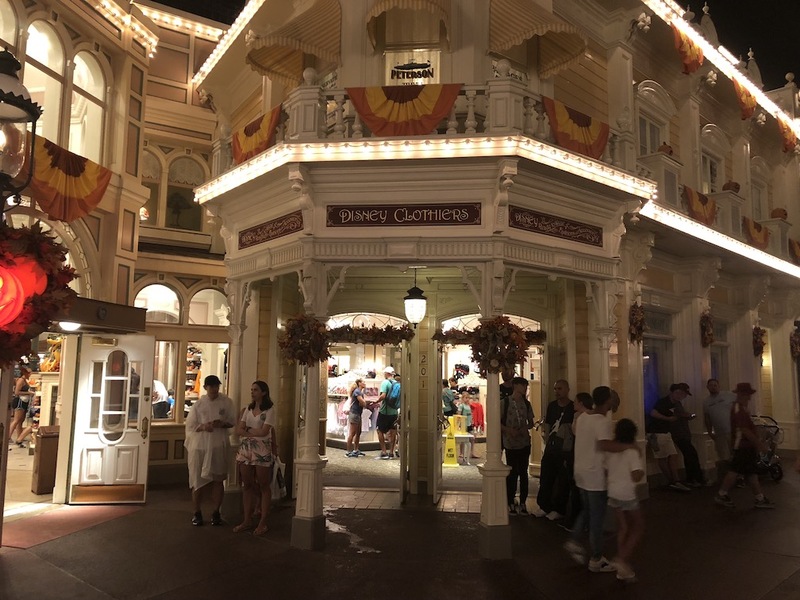 After swimming up-stream (Main Street USA) against the crowd I passed the Emporium and after that is another store called Disney Clothiers. This is connected with the Emporium so if you are instead you probably have walked right through it not realizing it’s actually a separate store. 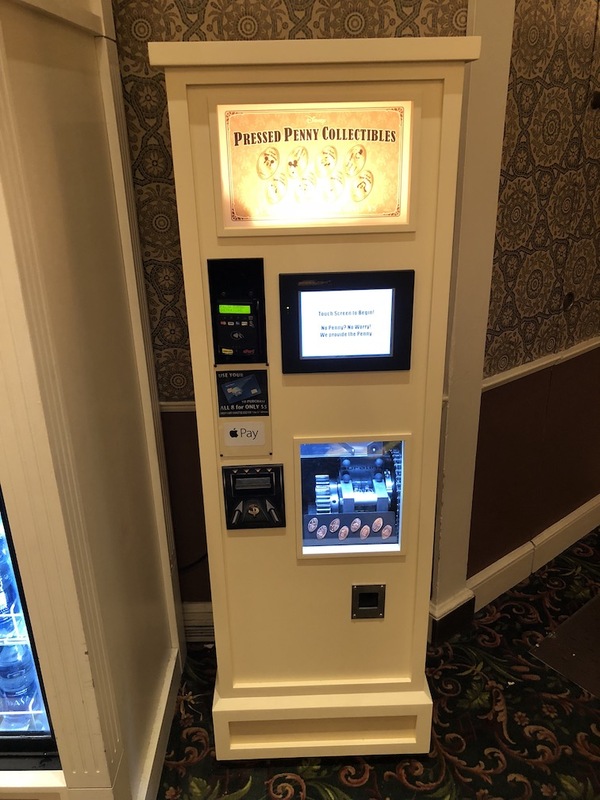 If you do enter from Main Street through the doors pictures above the penny machine is just inside by the drink cooler. 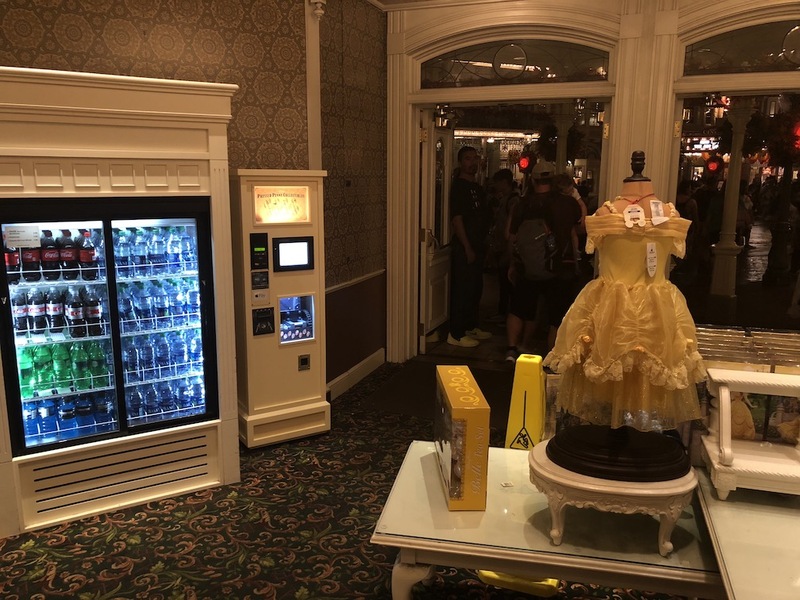 This area of the store deals primarily in children’s clothing, filled with plenty of Princess dresses, Minnie ears, and anything your young one would probably want to dress up in. As for me I headed right over to the penny machine. Well that is after I took a lot of pictures, and video which I will admit was quite the task in this store at this time of night. The amount of people walking and shopping in here at night is crazy. This is another 8-Design automatic touch screen machine. As usual the cost is $1 for 1 design, or $5 for all 8. 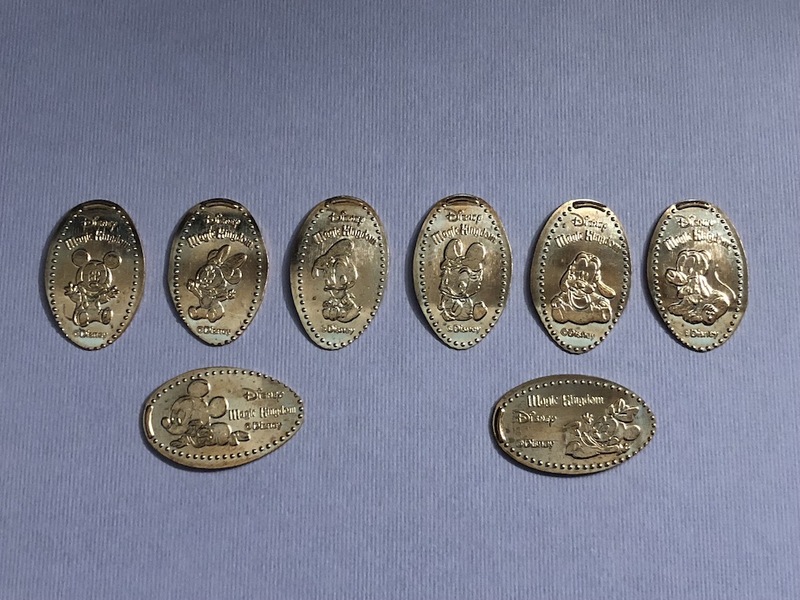 The images are a cute set that includes Baby Mickey sitting, Baby Minnie sitting, Baby Donald, Baby Daisy, Baby Goofy, Baby Pluto, Baby Mickey crawling, and Baby Minnie on her back. This seems to fit right into this store (even though the clothes are not strictly for young babies) but still a fun set and I’m sure it will be popular. While I was using the machine one of the cast members actually came over to watch how I used it. I guess they don’t get any special training from Disney on the machines. She mentioned that the machine was brand new and had only been there for a day or two so hot off the production line. Thanks again to my friends @followustodisney for the heads up on this new machine. Be sure to follow them on Instagram as they have a lot of fun Disney adventures over there. As I always say keep an eye open for new machines you never know when they will pop up.